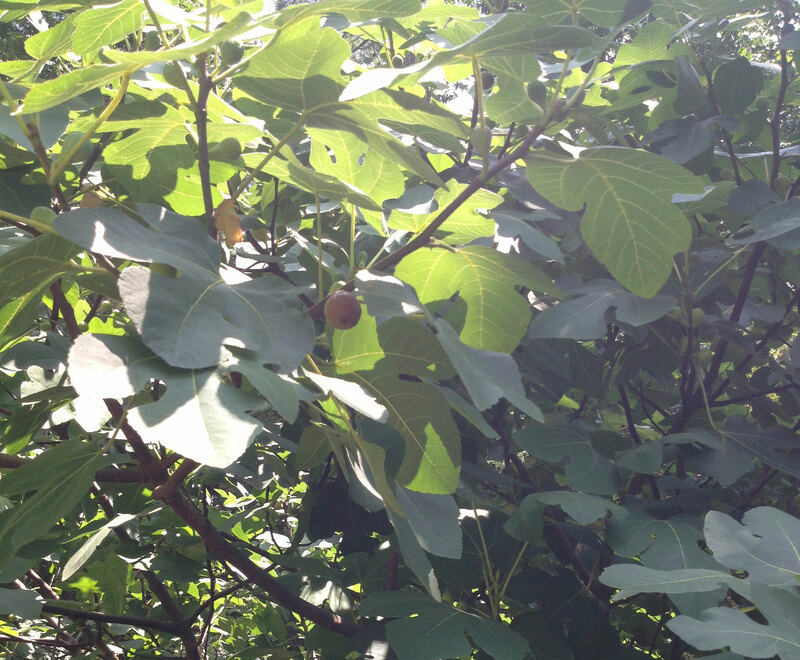 Fig trees are hardy in zone 8 and higher. They are known to be one of the oldest cultivated crops, enjoyed by the ancient Egyptians, Romans, and Greeks, all of whom lived in warm climates. My relatives (and most of our Brooklyn neighborhood) were part of a large Italian immigration at the beginning of the 1900s. They came from Sicily, often considered the bread basket of Europe. It is both temperate and fertile with a hardiness zone of 10. Brooklyn is zone 5. Figs must have been abundant and beloved in their Sicilian villages, judging from what these immigrants did to try to grow them in New York. When winter came, they had three choices to keep the trees alive. 1. Dig a trench next to the tree, loosen its roots, bend it into the trench, and bury it with soil and mulch. 2. Grow the trees in large containers and move them into a basement, garage, or covered porch until spring. 3. 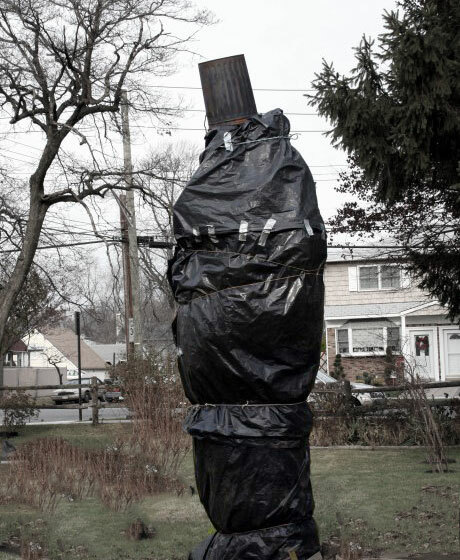 Wrap the trees in layers of burlap and tar paper, then fill the temporary container with leaves. As a child, I remember these strange statues decorating many backyards in the winter. When it snowed, I thought of them as black snowmen. Several were sporting a pail or bucket on their heads. All they needed was a carrot nose! My own trees have grown to be large and prolific, only requirement is an annual pruning to keep them manageable. Every year I have way more figs than I can use. I share them with my family, friends, neighbors, and many happy birds. 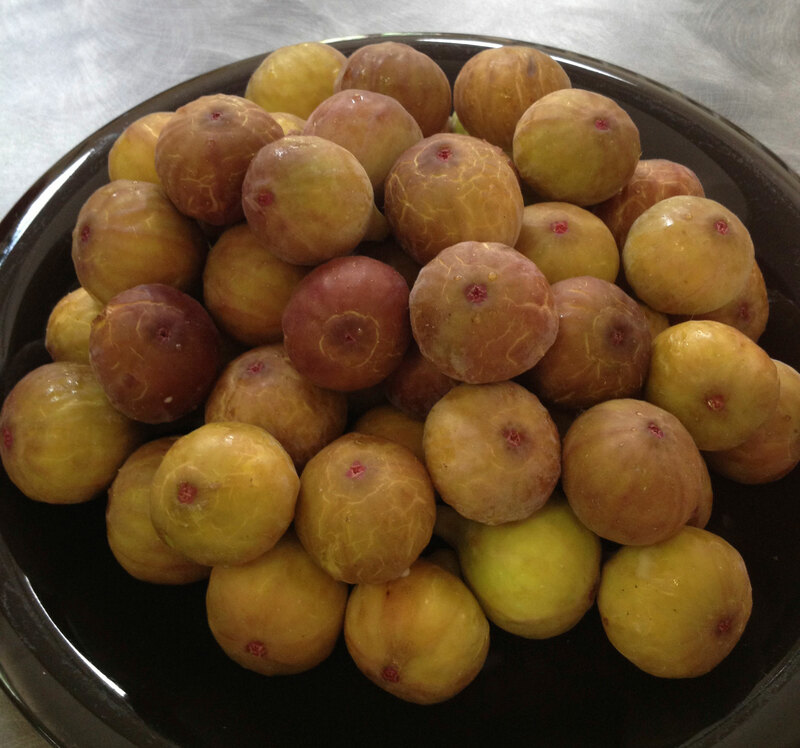 I make several fig desserts, lots of jam, and freeze the rest. Sadly, my grandparents aren’t here to enjoy this bounty, but I think of them with every harvest.